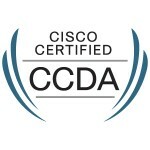 While I was at Cisco Live 2013 I passed the CCDA (640-864 DESGN) exam. I took this towards the end of the conference using the on-site 50% discount. 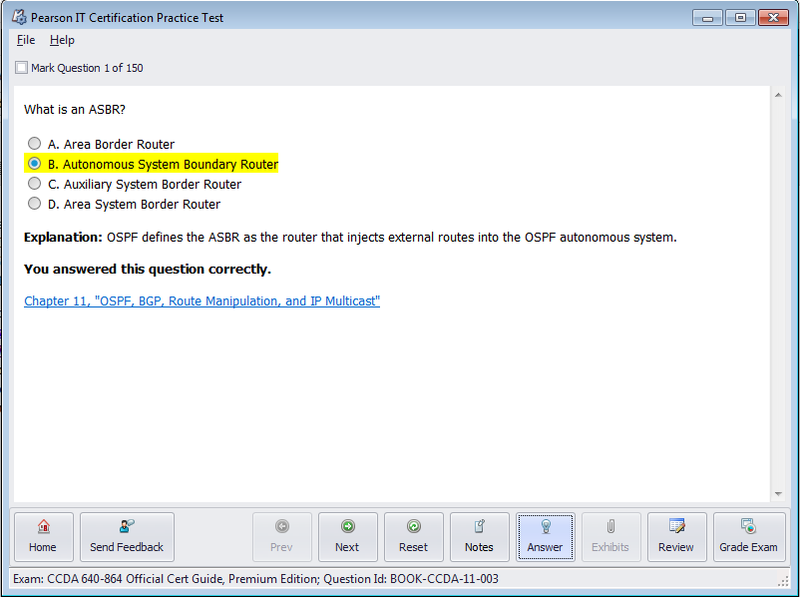 I had already attempted (and not passed) the CCIE R&S exam and really wanted to leave having passed an exam! There was a group of us that went to the testing center, and I think we were about 50/50 on passes vs fails. Either way, we all came away with good information (obviously without violating our NDAs) about the different exams. For example, we found out that the CCNA SP Ops exam is heavily an ITIL exam, but I’ll tell you a bit about what I learned about the CCDA. First, I’m going to tell about my study materials. I had been studying using the Cisco Press CCDA 640-864 Official Cert Guide, Premium Edition eBook and Practice Test off and on for about a year. I would read a chapter or two occasionally when I grew tired of reading the CCIE Routing and Switching Certification Guide. The practice exams included in the Premium eBook Edition are very good for one that is included with a book, but it is not quite at the same level as a Boson practice exam. That said, the software does include all the “Do I know this already?” quizzes from the book, which I found convenient, and three different pools of questions for the actual practice exams. They exams include a fairly good representation of the kinds of questions you will see on the exam. They are all multiple choice questions (which is what you’ll see in this exam, anyway) and each question includes a short explanation of the correct answer and a link to the correct references in the eBook. The book itself is your typical Cisco Press eBook. It is broken up into logical sections that build upon each other and include the “Do I know this already?” quizzes to see if you already know the contents of that chapter. The book will prepare you for the exam. Unless you do a lot of Cisco pre-sales work, your experience may not help you as much. In fact, it may make things more difficult. Personally, I’ve not found any of our Cisco VARs to actually add value on the pre-sales side. I usually do my own research and my own designs, then have our local Cisco SE’s sanity check the design. Every time I try to leave it to the VAR, something is missed. This has caused me to ingest a lot of Cisco marketing literature, Cisco Validated Designs, product data sheets, etc. These are the kinds of things you need to know for the CCDA exam. CCDA is about cookie cutter designs based on scale. It uses rules of thumb that fit common situations. It’s about knowing the Cisco product lines, including less common components like WAAS. It’s about very basic design principles which most people who have doing this for a long time will know, but might disagree with the CCDA designated way. It’s really about being able to design a network quickly for pre-sales purposes. 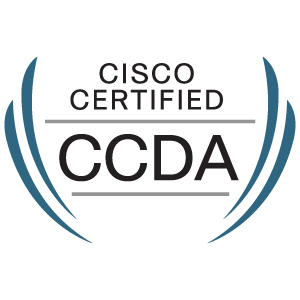 In a nutshell, CCDA is a Cisco sales engineer certification. That’s why it’s #5 in the 15 Top Paying Certifications for 2013, because the CCDAs are getting commissions on sales. That said, if you are new to networking, it’s still useful. Even if you aren’t, you may be forced to expand your knowledge of the Cisco product lines, which probably won’t hurt, and if you want to continue on to the CCDP, it’s a necessary hoop to jump through. However, this is not a very technical exam and I would argue that it is not really about network design. The CCDP materials look to be more about actual design, and I look forward to getting a chance to dive into those materials, but what I’m really interested in reading is the book The Art of Network Architecture (which isn’t out, yet) by Russ White, Scott Morris, and Denise Donohue. That book is about how to think about network design. Go check out The Art of Network Architecture session from Cisco Live 2013 to get a taste. If you really enjoy that, you may be on the path to CCDE.